The Samso energy fair on 13 October 2018 attracted many visitors with an inquiring mind. 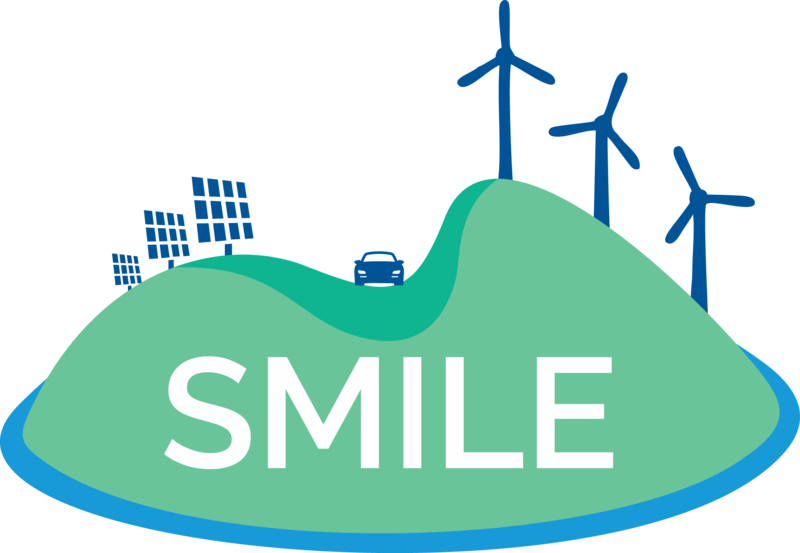 SMILE staff discussed the photovoltaic plant with a battery, which is due next year on the Ballen marina. 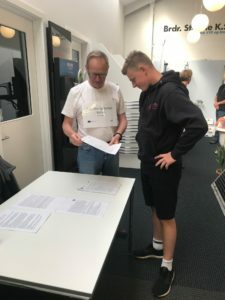 The local installer, Stjerne, organised the fair, and many large producers were present, including Danfoss, Grundfos, and the heat pump company Vølund. Local companies joined, including carpenters, bricklayers, an Internet provider, as well as electrician and SMILE partner Samsø Elektro. Debate in the local newspaper shows concern about the role of SMILE in Ballen. Several readers are afraid the future urban development in Ballen depends on SMILE. On the contrary, the size of the photovoltaic plant depends on the available space after the urban planning. This must be corrected. The Samso Energy Academy discussed the pros and cons with the visitors. A handout listing 38 questions and answers with a map supported the discussions. About 200 citizens visited the energy fair, which is an annual event during the schools’ autumn break. Jan Jantzen from the Samso Energy Academy explains the SMILE question-and-answer sheet to a visitor. The sign around his neck says, ‘Photovoltaic panels and battery in Ballen’.